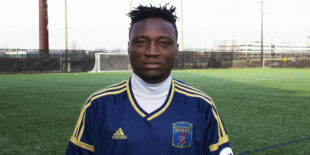 Union sign Olivier Mbaizo, Cameroon-born defender, from Bethlehem Steel. Union U-15 duo heading to Italy for tournament with U.S. U-16 team. ICYMI: PSP’s Adam Cann landed a job with the Union. Penn FC’s home opener to be broadcast live on WGCB, a local TV station based in Red Lion, PA.
Late goal lifts La Salle to comeback win over Temple. D.C. United ownership group likely to include investors in Swansea of Premier League. USL happy with debut on ESPN+. They mention the Steel in this press release. John Hackworth’s U-17’s defeated Norway at the Sportchain Cup. Dortmund headline the International Champions Cup’s U.S. schedule. The closest Pulisic gets to Philly is Pittsburgh on July 25th. Roadtrip! Tottenham and Brighton each got a point with a 1-1 result. Harry Kane’s goal have the Spurs in 4th place in the Premier League table. 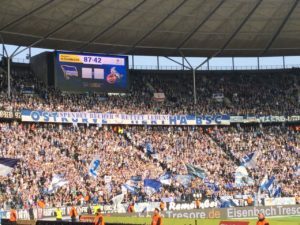 Bundesliga players called back to pitch for penalty in half-time amid VAR chaos. Zlatan says he’s going to the World Cup. Great pictures, thanks for sharing. 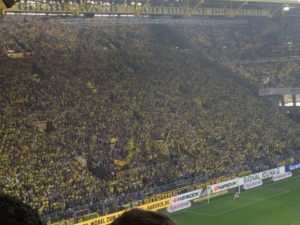 I’ve been to an Arsenal match, but have always been intrigued by the bundesliga. Really cool ide in Atlanta, I wish we had space for that here. The U should find a way to sponsor and develop something like that, a starting point for their grass roots plan. Union with another big signing. I’m at my wits end with Sugarman, Stewart, Albright, Curtin and the rest of this feckless Union group. If this market was given a competent financially competitive ownership it would be a win/win. I am still hoping that Sugarman sells(he won’t) the Union to an ownership who truly wants to not only set up a strong academy but to put a product with name players on the field that competes at every level in this top sports and media market. The league is not going to wait for the Union and their outmoded way of operating. This is a proud fan base and Philadelphia is not a 2nd rate outpost. How much more crap are we expected to take? We deserve better! Love the idea in atlanta as well. this is progressive thinking. would love a footy benefactor to do the same in Philly. I’d bring in a DJ — I’d have food trucks outside. I’d host World Cup, Derby and International and National Footy viewing parties. This is my vision. Anybody with about $500,000 – $1,000,000 dollars to invest on an absolute cutting edge cultural experience? Wrote this last week: If Toronto FC’s CCL bid, in which it has vanquished both Tigres and Club America, ends in a finals loss against Chivas (currently at the bottom of the Liga MX table) it will be a disaster. Respectfully, I think your use of the word “disaster” is hyperbole. Disappointing? Sure. News update on Union alum and all-around classy gent Michael Lahoud. FC Cincinnati just announced his signing today. Glad he’s found work.